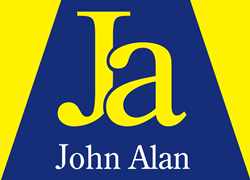 John has worked in the estate agency business for over 33 years having formed John Alan Estate Agents Ltd. with business partner, Alan Thorpe some 19 years ago and has built up an excellent reputation as a “personal” agent who listens to the needs of his clients. He has invaluable experience of the local area and is not surprised at how Catford has grown as a thriving community with its superb variety of housing stock. Clear communication is John’s ethos between all parties so that there is no misunderstanding from the start of the transaction to the finish. Halim has been in the lettings and sales industry for over 12 years and joined John Alan in 2009. Working his way through the company, he has increased his knowledge and skills through the years, as well as help build the management portfolio of John Alan. Halim has a wealth of experience in all aspects of letting and has excellent knowledge of the local area, as well as the different property types. He has a general passion for all things property and has himself built his own portfolio of properties making him a lettings manager that understands the requirements and needs of a landlord better than most. He is proud to say that lettings and management are a big part of the company and aims to continue to expand. Lindsay has worked for John Alan for 5 years after working for one of the top Central London commercial agents in the West End for nearly 20 years. Her vast property knowledge and familiarity with the area has enabled her to learn about the residential sector in Catford. Lindsay is a valuable team member dealing with the day to day administration duties both in sales and lettings.